Daredevil is one of the superheroes in the Marvel Universe. His civilian identity is Matt Murdock, who is a blind lawyer. Matt became blind when a radioactive substance fell from a truck and hit him after he pushed a man to safety as a kid. Though he became blind from it, it also gave him superhuman abilities. His other remaining senses got enhanced and heightened due to the radioactive substance. It gives Matt a radar sense, allowing him to still see and perceive the world around him even without the use of his eyes. Years after the death of his father, Matt started using his abilities to fight crime and to seek revenge for his father. It turned him into the Daredevil at night and a blind crime lawyer by day. Netflix adopted the character into TV series in 2015. 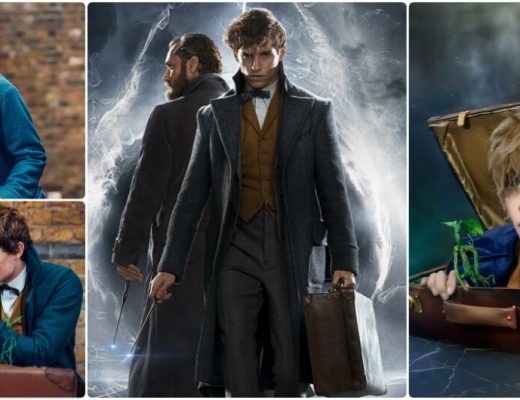 It is considered as the fourth most popular series on the streaming service. This article will be a Daredevil cosplay guide. Daredevil is one of the superheroes in the Marvel Universe. He is blind due to a radioactive accident when he was a kid. But this accident has also enhanced his other senses, giving him a radar sense and allowing him to still perceive the world around him. This enhanced senses will enable him to react faster than a normal human, making him an excellent combatant. Daredevil only has one iconic appearance, making it easier for people to see what look they need to achieve when they decide to dress up as Daredevil. 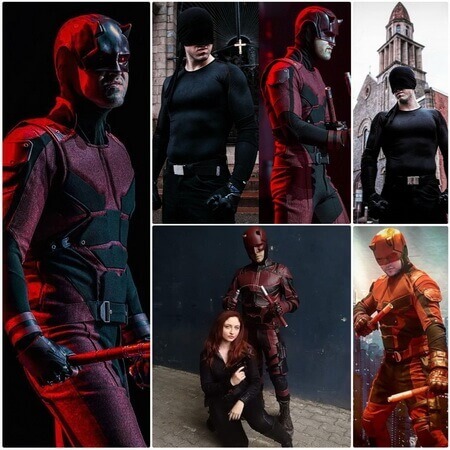 This Daredevil cosplay set will feature his full costume, which includes full dark red leather body suit with black designs and black elbow-length gloves. The collection also comes with a black long sleeves fitted shirt that you will wear underneath the suit and a dark red Daredevil helmet. The whole Daredevil suit is completed with a pair of black boots and Daredevil’s baton weapon. 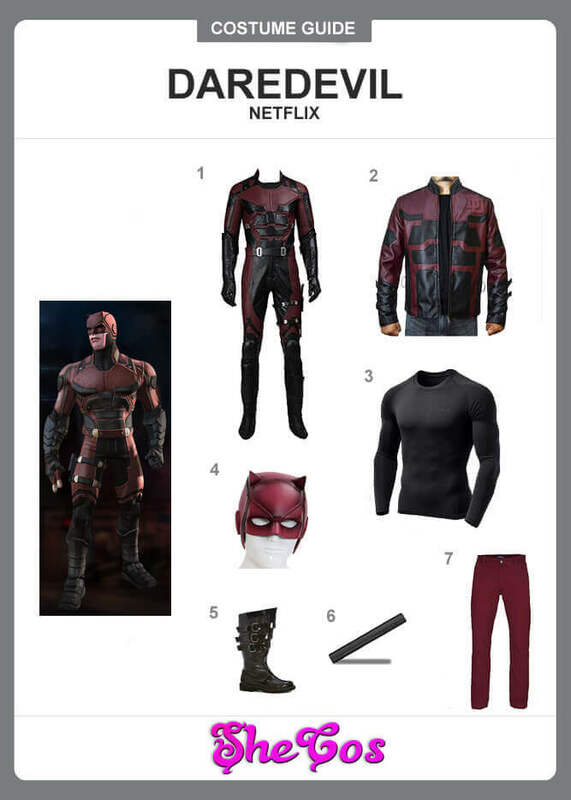 The set also comes with red pants and a Daredevil-inspired jacket. Daredevil is known mostly to wear one iconic costume, whether it is the comics, the movies, or animation. And that costume is his dark red suit with Daredevil mask. But the Daredevil series streamed on Netflix reintroduced people to Matt Murdock’s alternative look for the Devil of Hell’s Kitchen. It’s a look that was already used before in the comics and his early appearances in TV. It’s a look that involves an all-black outfit. This Daredevil black suit will feature his all-black costume. It consists of black long sleeves fitted shirt with black pants and a black belt. 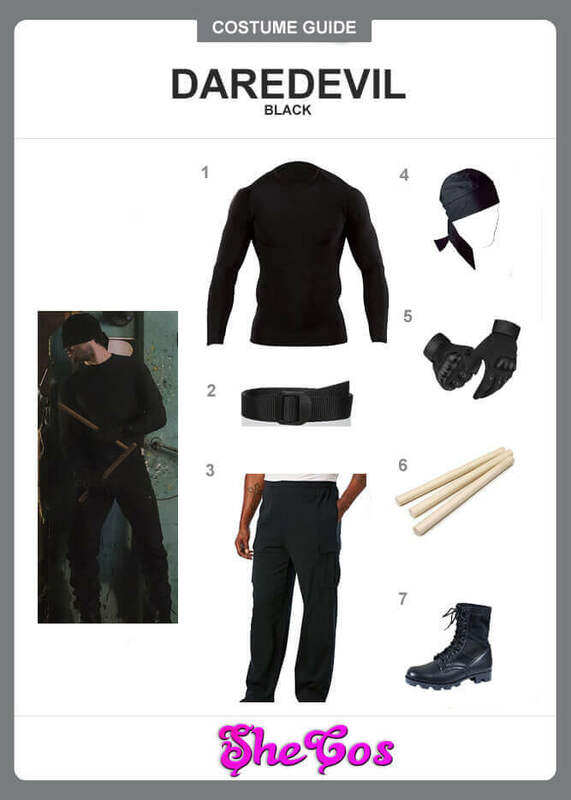 The cosplay set also comes with a black bandana cap that covers the upper part of Matt Murdock’s face. 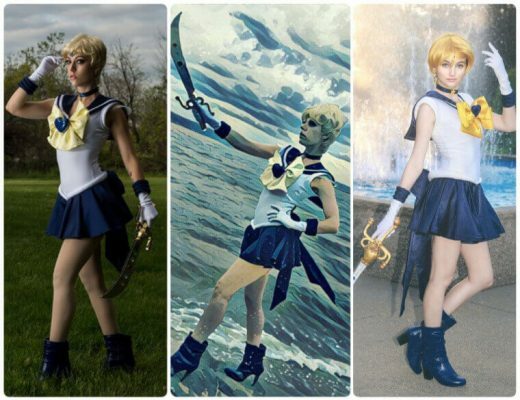 The full costume is completed with a pair of black boots and black gloves. Of course, Daredevil’s look won’t be perfect without his weapon. This collection also comes with several dowel rods, instead of Daredevil’s specialized baton. Daredevil is mostly known to wear his iconic dark red costume, whether you are reading the comics or watching the TV series. 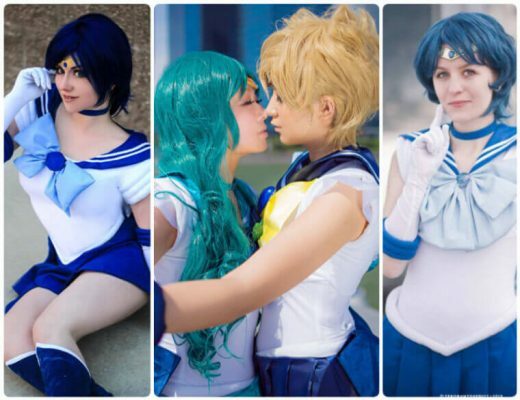 But that is not his only costume, as he has also worn a variety of other outfits before sticking to his present appearance. Casual fans that saw the series in Netflix would probably identify him with his black costume, which has been around for a while when Daredevil appeared on The Incredible Hulk Returns TV movie in 1989. His most forgettable outfit, though, was the bright yellow and red costume, which he wore in the early parts of the characters development. Fortunately, the artist agreed that it wasn’t right and changed it to what we know today. 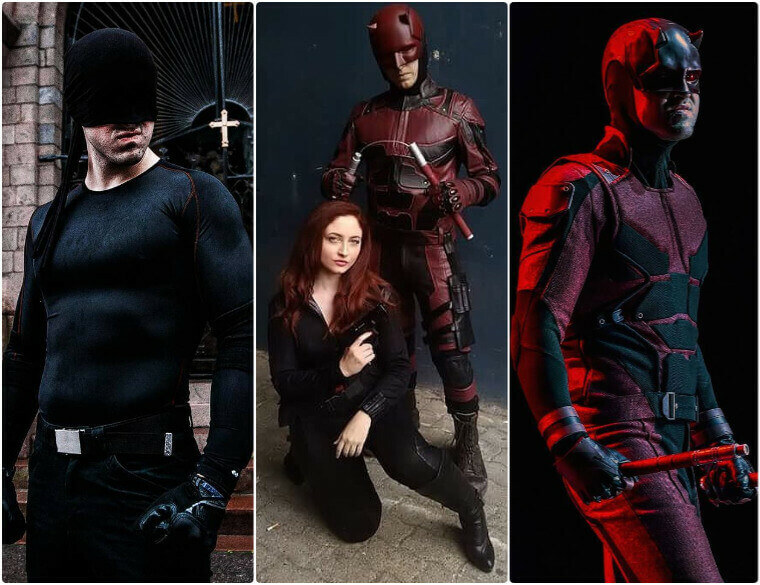 And if you look at the Daredevil cosplay photos, you can all agree that Daredevil’s current appearance is much better and looks cooler.